Have you already chosen the destination for your next holiday? Maybe Malta, Sydney, or San Francisco? Or have you considered touring London, the most iconic city in the United Kingdom? You may think that it is too early to begin preparing yourself, but in reality, it is always important to organize things in time to avoid unforeseen events. 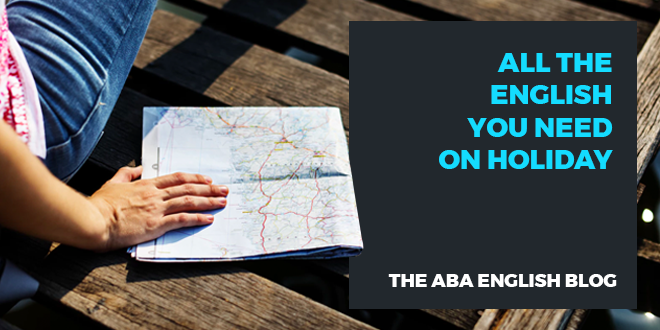 The English you should know before going on holiday with @abaenglish. After choosing your destination, learn all that you can about the places, people, and traditions of that place. Create a balanced itinerary with the monuments and places you want to visit. Having an idea of the habits of the local people will help you to fully benefit from the experience and to not involuntarily offend the sensitivities of the people with whom you will have the opportunity to interact. Learning about the rules and laws can also be very useful. For example, if you want to rent a car to take a tour of the castles of Scotland, it would be good to learn about the traffic rules as well as knowing what to expect from the car rental. And what about your English? Do you feel prepared for any eventuality? To have a conversation? To go shopping and to call a taxi? Travelling is an excellent way to practice your English. 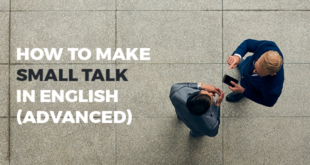 Making a list of all the opportunities you may have to speak English is almost impossible. We will, however, give you some practical examples that will give you an idea of the vocabulary you must learn before packing. Therefore, to avoid imagining that the person you are speaking to is making fun of you by calling you “bud,” it is better to take a look at any special vocabulary that the country you have chosen might have. 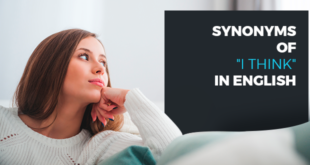 It is also important to note that an internet connection is not always necessary to study English and that there are many apps that you can use to study offline. You do not have to let your studies fall behind just because you are travelling! On the other hand, during our holidays we will definitely need to interact with the locals to get information, to interact with the staff at a restaurant, to treat ourselves to a day at the spa, or to simply ask for directions on how to get somewhere. It is equally important to know how to let others know that you really do not feel like talking. It is definitely important to prepare a selection of phrases that you could use in any of the various situations that may occur. You can write down a list of useful sentences and organize them into sections for the different phases that you will need during your trip until you return. A list like this is not only an indispensable and helpful tool to have during a trip but is also an excellent way to improve your English. For example, it is very likely that you will need to take a plane to get to your destination, no matter where you may decide to go. So, do not forget to check out the English phrases you may need for travel. Knowing the sentences and vocabulary you will need ahead of time will definitely make your holiday start off much more smoothly and calmly. Could you tell me where my gate is? Another important list should contain health-related phrases and vocabulary as well as those that you may need in an emergency, even though we always hope that you will not to have to use them. It is important that you be able to communicate if you are in a dangerous situation or if you need medical attention. 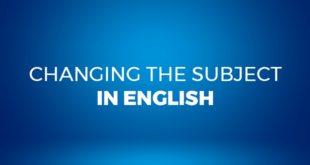 For example, do you know how to say sunburn or earache in English? What if you are travelling with your four-legged friend? Do not forget to research the terms you will need related your dog’s needs and food to avoid buying any incorrect or unwanted items for your loyal travel buddy. Finally, after your trip, do not forget to write up a review of any of the places you have visited so that others can follow along in your footsteps or so that the people back home can keep up with you. If you are looking for a way to spend more time abroad or to help people while exploring new countries and cultures, you can always apply to be a volunteer. In short, the opportunities and situations in which you might have to speak English during your holiday in an English-speaking country are almost endless. To make your personal study list, use the tips and suggestions in this article. Another ideal way to prepare for the holidays is to take a well-planned language course. ABA English offers you an online course consisting of 144 free video classes, short films based on real-life situations, and competent native teachers that are available to answer your questions. Are you ready to begin?